I was going to go in search of a New Year's Prayer to post for this weekend, but instead I thought I'd go more simple. This year, please help me to know what you want me to do and please give me the strength to do it. I wish you all a very Happy New Year. May 2012 be a happy and blessed one for each of you! St. Jude, friend to those in need, I am weary from grief, without joy, without hope, struggling through the dark night of the soul. I turn to you, most trusted friend. Take away this emptiness and the pain of my broken heart. In your compassion, wipe away the tears and carry me to a place of peace. Too long have I been blind to the goodness of God's world. Heal me. I yearn to feel, to bathe in light and joy. Envelop me in brightness and do not hold back. And I promise, if you should see me fit to receive these gifts, I will share them always. Amen. 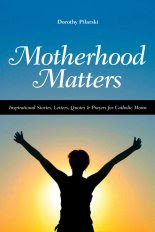 If you or someone you love is a caregiver, the Friends of St. John the Caregiver offers a wealth of free information to help - available both online and in paper form. I was on the Divine Mercy Shrine in Stockbridge, MA website to request a Mass for my friend that needs healing, and I discovered that they offer Gregorian Masses as well! Gregorian Masses are thirty Masses offered for the repose of the soul of someone who has died. My mother had them said for her father when he died and she requested that I do the same for her and my father when their time comes. I figured when that day came, I would do an on-line search and find a place to send away for them. I am so excited to discover that they are available at the Divine Mercy Shrine because that is truly one of my most favorite places. One of my dearest friends (she has been my friend since we were six. Today we only talk a few times a year, but we are still very close) is going through a very tough time right now. She called me last night for Christmas and told me she had just been released from the hospital after spending 3 weeks there. She is suffering from both mental and physical illnesses, and recently lost her job as well. She could really use some prayers. Thank you! I wish all of you a very Merry and Blessed Christmas. 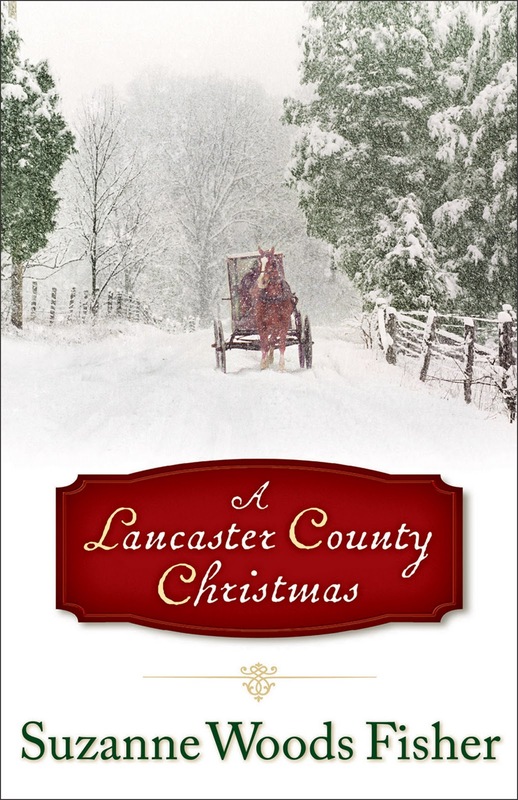 Even though I traveled to Lancaster County last year and found it to be absolutely nothing like I had imagined, I still enjoy reading Amish fiction, and "A Lancaster County Christmas" did not disappoint. Jaime first encounters the Amish family that will change her life at a doctor's office. She is there seeking a prescription for sleeping pills to help her bury the grief she feels at the loss of her mother. Mattie is there because she has recently miscarried and is suffering the pain of not having another child. Mattie's son Danny is six years old and happy to talk to anyone who would listen. He and Jaime forge a connection over an owl whistle. When Danny leaves it behind in the office, the doctor asks her to please return it to the family. Jaime's whole life is on the rocks, totally upended by her mother's death. Her marriage is suffering and she just quit her job. Never very religious, she feels threatened by her husband C.J. 's new found faith. In light of recent events, she and God are definitely not on speaking terms. Mattie has a deep faith, but she can't shake her sadness and finds herself overly protective of the child she does have. She worries about everything and no matter how hard she tries, can't find peace. When Jaime's car slides into a pond on Mattie's property and a large snowstorm hits, the two families are thrown together for Christmas. Over the course of the holiday, miracles will happen, hearts will warm, and faith in God will be rediscovered. 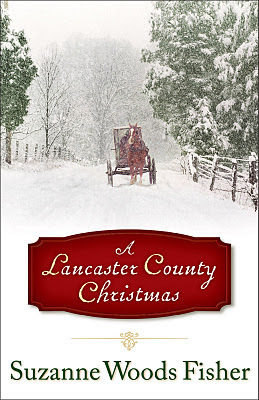 People, myself included, enjoy Amish fiction because it emphasizes getting back to basics and appreciating simple joys. My favorite line from the book comes from Mattie's husband Sol. He is praying after breakfast and says "The days available to say a kind word to someone this year are rapidly drawing to a close. Lord God, teach us to be kind." That's a good message to take with us every day of the year. This is a feel-good book. A short book, it is a compelling story that offers a touch of mystery that will keep you turning pages and leave you smiling at its conclusion. In our Homeschooling World Today . . . This quote comes courtesy of Monsignor David Joyce writing at www.cursillowmass.org. Joy is a gift. But it is also a virtue, which we can develop and nourish. When we see it in others, we know it's there, although we're hard pressed to define and describe it. . . The joyful person has within himself a core conviction: God is present - his Son nourishes me - the Spirit guides me - what more do I need? How do I get that joy? Can I buy it? Isn't that sometimes the temptation of Christmas - if we have enough "stuff," everybody will be joyful. Experience has taught most of us that the opposite is often true. Most importantly, we can pray for that gift, and then we can nourish it by thanksgiving - gratitude for life - my own and the lives of those whom I love and who love me - despite our shortcomings. . .
And so when I wish you a merry and joyful Christmas, I'm not wishing you something external to yourself. No, I'm hoping you'll open your heart to the Son of God, Jesus, who already makes his home within you, and who is your source of joy - in this season and always. December 21st is the feast day of St. Peter Canisius (1521 - 1597). If you have too much to do, with God's help you will find time to do it all. Two New Saints to be Named! Pope Benedict XVI advanced the sainthood causes of Blessed Marianne Cope of Molokai and Blessed Kateri Tekakwitha. During a meeting Dec. 19 with Cardinal Angelo Amato, prefect of the Congregation for Saints' Causes, the pope signed the decrees recognizing the miracles needed for the canonizations of Blesseds Marianne and Kateri. Before a date is set for the canonization ceremonies, there must be an "ordinary public consistory," a formal ceremony opened and closed with prayer, during which cardinals present in Rome express their support for the pope's decision to create new saints. Blessed Marianne, who worked as a teacher and hospital administrator in New York, spent the last 30 years of her life ministering on the Hawaiian island of Molokai to those with leprosy. She died on the island in 1918 at age 80 and was beatified in St. Peter's Basilica in 2005. Blessed Kateri, known as the Lily of the Mohawks, was born to a Christian Algonquin mother and a Mohawk father in 1656 in upstate New York along the Hudson River. She was baptized by a Jesuit missionary in 1676 when she was 20, and she died in Canada four years later. In June 1980, she became the first Native American to be beatified. today and just had to blog about it! It's an art museum in a book. 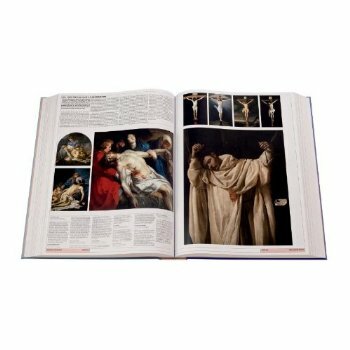 Oversized (3 feet across when open) and weighing over 17 pounds, it features over 2,500 large images of works of art. This volume contains an unprecedented wealth of masterworks spanning three millennia and culled from 650 museums, galleries and private collections from 60 countries. It is organized by innovative color-coded, galleries, rooms, corridors and special exhibitions, which display the paintings, sculptures, frescos, photographs, tapestries, friezes, installations, performances, videos, woodblock prints, folding screens, ceramics and manuscripts that tell the history of world art. It's not too late to order this book as a Christmas present for the art lover in your life. It would also be wonderful for a classroom. It retails for $200, but Amazon is selling it for half price! “But that is what Advent is for. It is a time of waiting,” I responded, attempting to reinforce a bit of religious instruction in the midst of the whining. I don’t think that he actually believes that Advent is torture. After all, we do lots of fun things during Advent to prepare for Christmas. But, I do understand where he is coming from. As a child, December seemed an interminable stretch of days. Time moved in slow-motion. It seemed to take so long for each candle on the Advent wreath to be lit. Would Christmas ever come? It takes time to realize that the waiting can actually be part of the joy. Anticipating an event and preparing for it can sometimes be just as exciting as the event itself! My children don’t have much longer to wait, even though they might think that they do. As an adult, Advent seems to pass by in a blur each year. My life is in a constant state of fast-forward. How can it be time to get ready for Christmas already? Didn’t we just do this? In light of this phenomenon, I can’t honestly say that I wait for Christmas day any more. Still, from a spiritual perspective, I know what it is to wait. I wait for answers to prayers, for healing for all those who are hurting in some way, for peace in my family and in the world, and for the type of joy that is everlasting. I know that the coming of December 25th won’t end the waiting for those types of wishes, even though in my life I have been blessed by at least a couple of Christmas miracles. Yet, instead of viewing the wait as something painful, I can look forward with anticipation. I know that in God’s time, all my dreams will be fulfilled. In light of eternity, the wait isn’t long at all. God became man to save us from sin, to reopen the doors of heaven for us, to bring us peace, and healing, and joy. That tiny baby in the manger offers the answer to all of our deepest desires. We simply need to trust, and hope, and wait. I wish you all a very blessed Christmas. Lots of people talk about the importance of making plans in life - the five year plan, the ten year plan, etc. I've never had much luck with those, however. Sure, I have dreams of what I'd like to do and accomplish, but then life (God?) happens and I end up on a different road. Therefore, I like the idea of doing the next right thing. Often, that is as far down the road as I can see. Our best first remedy is prayer. Asking God to show us the next right thing to do helps us to get unstuck, stop feeling sorry for ourselves, find clarity in our thinking, bring order to our lives, and treat others with respect and dignity. We might need to ask God to show us the next right thing to do a hundred times a day. Homeschool Connections has made a wonderful change that can make the upcoming months great (and even easier :-) for Catholic homeschool parents .. Starting right now, they are offering Unlimited Access to over 70 middle and high school courses -- for the price of just one typical online course elsewhere (Really!). Plus, you can try it out FREE (more below!). A way to give your children all kinds of courses without having to pay for each and every course ... Because now they give you unlimited access to ALL of Homeschool Connections' fully-recorded courses for one year, for only $330. One full year for the whole family! Have the freedom to choose any class, any time. Complete classes at your own pace, at any time of day. Traveling? Schedule change? Take these classes from anywhere in the world. Got Internet -- then you can connect with us. Choose from two ways to take your courses: Watch-and-Learn with all the support materials and answer keys to easily grade your children's work ... OR Instructor Access where, for an additional fee, the original instructor grades homework for you. We work to make life and homeschooling easier for you. Any student can take these courses -- Homeschool students, Catholic school students, private or public school students, students who are enrolled in a home study program, unschoolers ... anyone in middle or high school! Even parents take our courses! "Very clear ... and fun!" "An amazing job in presenting the material ..."
"Helped me with my faith ..."
"[My instructor] passed his love of the material on to the students." "My instructor was very knowledgeable and passionate ..."
[The instructor] presented the material in a captivating manner and I actually found I really enjoyed it." Whether you have one child or many -- When you need or want a tutor outside the home, this is a helpful service -- for excellence in academics, putting faith into action, and inspiring lifelong learning. We're here for you. Think about all of the great courses that will be ready for you to use -- unlimited -- all year long. And think about how much money you can save (!). Not sure what an online course looks like? Wondering how it works and how easy it is? For the next few weeks (through Dec. 30, 2011) you can have full access to one of their online recorded courses. Click on the course title below. Then click on the button: Login as a guest to take your test drive. .. but hurry--this will only be open for a short time. The Christmas Posada, celebrated in many Latin American countries today, is a prayer, a play and a party all in one. The name means "inn" or "shelter" in Spanish and is generally celebrated with a novena from Dec. 16 -24 in preparation for the birth of Christ. 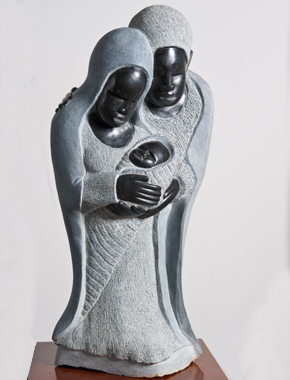 These nine days symbolize Mary's pregnancy, the journey of Mary and Joseph to Bethlehem, and their search for a place to stay - as recounted in Luke 2:1-7. It takes courage and humility to change. We may have developed certain habits during our lifetime that are based in fear, shame, or anger. We may have learned to cope with difficult life situations by manipulating others, by becoming addicted to alcohol, food, or gambling; or by letting others define who we are. However, whatever unhealthy patterns we may have acquired, we have the right to be the sons and daughters of God. We have the power to change at any time and live life more freely and lovingly. It is a scary fact in my life that I will be soon be the mother of teenagers. Every day, they get a little bit closer, and the teen "years" seem to start younger than they used to. Just the other day, I had a conversation with my boys about "sexting" and why this was never a good idea. These are not conversations I enjoy, but they need to be had. Navigating the teen years is going to be a challenge! If you have a sibling or more than one child, chances are that you have dealt with the ugly green monster that is sibling rivalry. In a perfect world, children born of the same parents or adopted into the same family would always love, honor, and respect each other. They would share without complaint, applaud each other’s successes, and be happy to not be the center of Mom and Dad’s attention all of the time. But, alas, this is an imperfect world, and sibling rivalry has existed since the days of Cain and Abel. We aren’t going to be able to root it out completely. So, then, our only hope is to attempt to minimize it. Truthfully, my two boys get along well most of the time – emphasis on most. There are certainly times that one or the other or both have wished (loudly!) that they were only children, but usually they are content to enjoy each other’s company. They are close in age – a mere nineteen months apart – and share many interests and friends which is a blessing. Lately, however, we have been dealing with a serious case of sibling rivalry. The two of them are taking acting classes at a local drama studio this year and they both love them. When auditions came for the first big play, they were both eager to try out. I hoped beyond hope that they would both either get a role or both get rejected. What happened? You guessed it – my older son got a role and my younger one did not. While it was fortunate that it was that way and not the opposite situation, it still made for some considerable gloating and jealousy. While David had the opportunity to go out night after night for rehearsals, Isaac was stuck at home. While David got to perform in a large downtown theater five times and get catered meals, Isaac was relegated to the audience. I did try to mitigate the issues as much as possible. I reminded David that talking about the play incessantly, no matter how excited he was about it, was not being kind to his brother. I reminded Isaac that there would be other plays and he would most likely get to be in one that David wasn’t in. I also tried to spend some extra time with Isaac, doing things that he enjoyed while David was out of the house. Still, the hard feelings continued. As a parent, I was torn. It was wonderful to see David blossom and find something he truly loves and could be good at. As some of you are aware, he has high-functioning autism. Life is hard for him. He struggles academically and socially and athletically. One of the reasons I signed him and his brother up for acting classes is that the school said that they welcomed those who were different. They said it was a place where anyone could excel. That has definitely proven to be the case. The child who fears every new situation has been excited to go to rehearsals and the performances every single time. That, in itself, is amazing. At the same time, I did feel badly for Isaac. He wanted a part every bit as much. As much as I know that learning to be happy for someone else is an important life lesson, it still hurts to be left behind. He is the younger brother, if not by much, and most of the time he has to wait a year to do the things his brother can do. It isn’t a fun position to be in. In this case, I can’t even guarantee that he will get a role the next time. That is up to the directors and age has nothing to do with it. I can only hope. Yes, sibling rivalry is alive and well in my household. The play is behind us now and hopefully life, and their relationship, will return to normal – at least for a while. I know, though, as they continue to grow and carve out their individual places in the world, that rivalry will continue. Despite my best efforts, I can’t eliminate it completely. My job in all of this is to continue to emphasize their respective talents and give them the parental attention they need, and hope and pray that their love for each other outweighs their need to compete with each other. For some good suggestions on dealing with and helping to prevent sibling rivalry, please see this article from the University of Michigan Health System: Sibling Rivalry. I am a huge Richard Paul Evans' fan. I have loved his books, going back all the way to "The Christmas Box" which started it all. 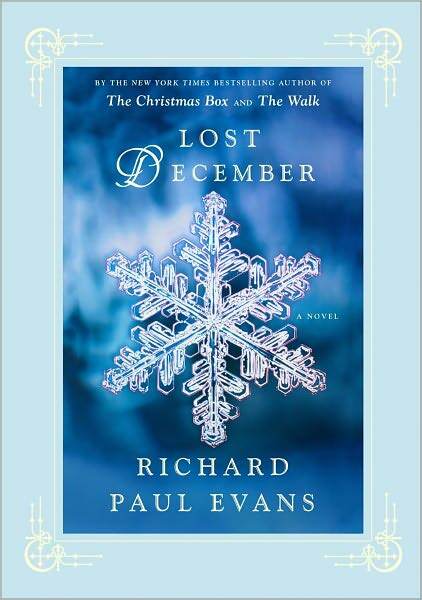 That being said, I truly believe that Lost December is his best book since that original story. A modern day retelling of the biblical telling of The Prodigal Son, the central themes of lessons learned and forgiveness extended ring true. Luke Crisp is the son of a multi-millionaire who made his money by truly caring about his employees and his customers. Luke, however, decides he wants more from life than to take over the family business. He takes his trust fund and leaves to explore the world with his so-called friends. Needless to say, this decision is not a good one. Even going into the book with the general idea of how it will all turn out does not take away from the beauty and power of this story. Although, to some extent, it is being marketed as a Christmas story and Christmas does play a role in the turn of events, like the original story in Scripture, this is an important story for any time of the year. People take things for granted; it's human nature. In The Greatest Miracle, opening Dec. 9 in limited release around the country, producer Pablo Jose Barroso and Dos Corazones Productions offer a 3D, animated story of hope and faith set against the backdrop of mysterious spirits and a religious service many have come to take for granted. The story revolves around three people who find themselves at the same Catholic Mass because of crises they are struggling to endure. Going to Mass is not new to any of them - but they need assistance to embrace its true meaning. That guidance comes from their guardian angels, who help them to understand the struggle between good and evil, and the miraculous triumph of faith that manifests itself in every celebration of the Eucharist. Through their angels, they come to understand what Pope Benedict XVI described in Light of the World, his book-length interview with German journalist Peter Seewald. "Something quite special is going on here," the Holy Father said of the Eucharist. "He is here, the One before whom we fall on our knees!" The Greatest Miracle is directed by Bruce M. Morris. He is the visual writer of the animated hits Pocahontas and Hercules, and earned an Academy Award® nomination for his work on 2009's The Princess and the Frog. Oscar®-nominee Mark McKenzie (Dances with Wolves) wrote the score for the film, which earned the 2011 Hollywood Music in Media Award for Best Original Score - Independent Film/Short/Documentary. McKenzie's work also includes Men in Black, Spiderman and Ice Age: The Meltdown. Last week, I posted an article from the National Catholic Register on "How and Why to Return to Mass." Today, I offer it's counterpart, "How and Why to Return to Confession." 1 The presence of sin can easily lead to depression and anxiety. 2 You shower to show respect for those around you. Cleansing your soul makes you better to be around, too! 3 Mortal sin, unconfessed, “causes exclusion from Christ’s Kingdom and the eternal death of hell, for our freedom has the power to make choices forever, with no turning back” (Catechism of the Catholic Church, No. 1861). 4 As they leave the confessional, people smile a smile of freedom. 5 Because love means having to say you are sorry to the one you love. 6 You will grow in humility, sincerity and self-knowledge. 7 Blessed Mother Teresa went. Frequently. 8 Hoping to convert on your deathbed? That’s not very likely. Most likely, you will die as you lived. 9 It is itself a serious sin to go to Communion if you have serious sin on your soul and have not asked for forgiveness in confession. 10 Don’t be scared to death of confession. Be scared of death without confession. 11 Be strong. Face your sins; deal with them and move on. 12 Make sure there are no unpleasant surprises at your particular judgment or at the Final Judgment. 13 The priest will listen to your sins and will never tell a soul on pain of losing his soul. Priests even learn to forget what they hear. I wasn't looking for this article, but happened upon it as I was searching for something else. All I can say is "Amen!" Well, two weeks into the new translation and I'm almost to the point where I remember to say "And with your spirit" instead of "And also with you!" The other changes are going to take a little longer for me to learn. In my parish bulletin this week was a message from our Bishop, Bishop Timothy A. McDonnell which I thought explained nicely the reasons for the new translation. "Four score and seven years ago, our forefathers brought forth on this continent a new nation, conceived in liberty and dedicated to the proposition that all men are created equal." Suppose, however, that Abraham Lincoln's Gettysburg Address had begun: "Eighty-seven years ago, in North America, the people of that time started a new country. It was focused on freedom and all were to be treated the same." In that fashion, I doubt his words would be remembered today. Language does make a difference. That is why the new Mass translations we begin today are so important. The Mass deserves more than everyday language. It deserves a language fitting for the worship of God. The language we use at Mass is meant to take us out of the everyday and focus our minds and hearts on the divine mysteries we celebrate. The language is different because the Mass is unique. The Mass is at the heart of our faith. It speaks to the Mystery of Faith - the death and resurrection of Jesus Christ made present on our altars. The translations we use should capture as exactly as possible the nuances of the original language in which our Mass prayers were composed. The new translations will demand more of us. They will demand attentiveness, concentration, and prayerful reflection. At the same time, they will offer an opportunity to enter more fully into the Eucharist, God's gift of self to us. As together we experience the richness of the new translations, may we grow in appreciation of the Lord who is at the heart of our faith and of our Mass. What is the Feast of the Immaculate Conception? “I am the Immaculate Conception.” These are the words our Blessed Mother spoke to young Bernadette Soubirous when she appeared at Lourdes in 1858. On December 8th, we celebrate the Feast of the Immaculate Conception, yet it often seems to leave many people confused. What exactly are we celebrating on this holy day? Contrary to what many people seem to think, it is not the conception of Jesus. That feast is on March 25th – the Feast of the Annunciation. The Feast of the Immaculate Conception commemorates the conception of Mary in the womb of her mother, St. Anne. The birthday of Mary has long been celebrated on September 8th. There is evidence that it was celebrated in the Eastern Church on that date as early as the sixth century. It would take a couple more centuries before it was celebrated here in the West. 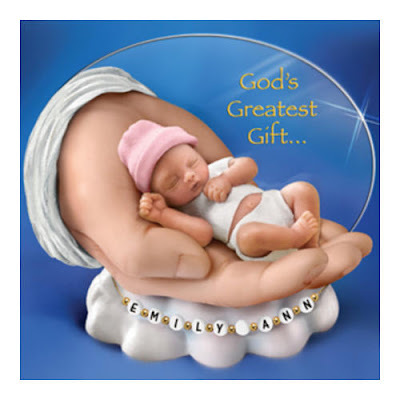 The information we have on Mary’s birth is not recorded in Scripture. Rather, it comes to us via the Protoevangelium of James written about 150 A.D. It is from this document that we have received the names of Mary’s parents – St. Joachim and St. Anne and the fact that they were childless for many years prior to having Mary. The Feast of the Immaculate Conception was therefore set on December 8th, nine months prior to Mary’s September birthday. Originally, the Church celebrated this feast as only the Feast of the Conception of Mary. Over the course of the years, as the tradition and understanding of Mary’s conception developed, it became known as the Feast of the Immaculate Conception. 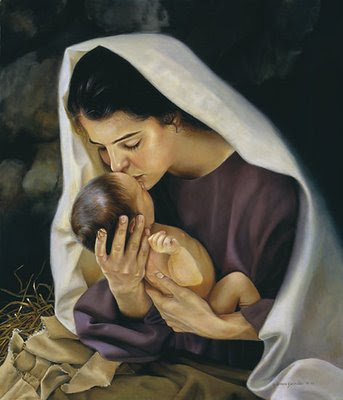 It was officially declared thus on December 8, 1854 when Pope Pius IX declared that the Blessed Virgin Mary "in the first instance of her conception, by a singular privilege and grace granted by God, in view of the merits of Jesus Christ, the Saviour of the human race, was preserved exempt from all stain of original sin." Original sin was not removed from her soul. Rather, it never existed. In the Eastern Church, this feast is still known as “The Conception by St. Anne.” For more information on the development of this feast, the Catholic Encyclopedia offers a good treatment. On a related note, The First Council of Baltimore in 1856 declared Mary, The Immaculate Conception, as the patroness of the United States. The Basilica of the National Shrine of the Immaculate Conception, dedicated to the patroness of the United States and located in Washington, DC, is the largest Roman Catholic church in North America, and one of the ten largest in the world. If you have been away from Sunday Mass for a while, Advent is a wonderful time to return. This list from the National Catholic Register sums up many of the reasons why we would love to have you back! 1. It’s your way to relive the Last Supper. 2 When was the last time you prayed too much? 3 If you want to spend eternity with Christ, you need to get to know him now. 4 It’s the central, necessary activity of Christian worship (Luke 22:14-23; John 6:53; 1 Corinthians 11:23-26). 5 It’s your best way to identify yourself with Christ’s sacrifice on the cross. 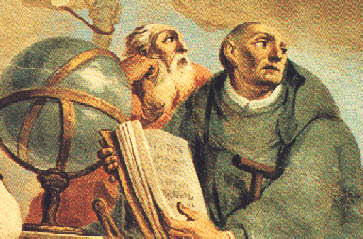 6 Some of the greatest people in history were Massgoers (St. Francis, Blessed Mother Teresa, Pope John Paul II …). 7 Wise people invest money for the future. How much more should we invest in eternal life? 8 It has to be better for you than TV. 9 If you’ve been to confession, you get to receive Jesus Christ. If you find a better deal, do that instead. 10 If you knew Jesus would be somewhere, wouldn’t you go see him? 11 Guaranteed Bible readings. Countless lives have been changed by Scripture. Might yours? 12 Statistics say that people who go to church are less stressed. 13 It’s the best way to pray for your family and friends — and to cope with troubled times. 14 One out of Ten Commandments asks us to go to Mass every Sunday. 15 You’ll become a better person at Mass. The more you are a part of God’s life, the better you’ll be. 16 Life is complicated. Get directions that work — from the One who created life. 17 It’s your way to go most directly through Jesus Christ to God the Father by the power of the Holy Spirit in prayer. 18 Is one hour too much to give to God? How many do you spend on other priorities? I had meant to post the link to this article in November, the month in which we especially remember those who have died. Alas, November got away from me. Still, the dead are with us all year long and it is ALWAYS good to remember and pray for those who have died. The high-schoolers featured in this article are carrying out the corporal work of mercy to bury the dead every day and doing so with grace and respect. Members of "The St. Joseph of Arimathea Pallbearer Society" at St. Ignatius High School in Cleveland, Ohio serve in a ministry of "respect and care, presence and prayer." To practice the works of mercy by offering pallbearer services free of charge to those in need, especially the poor and elderly. I wish one of the local Catholic high schools in my area would take up a similar cause. It is a wonderful service. "Giovanni's Light" by Phyllis Theroux is a classic Christmas story - a light to give warmth on a cold winter's day. The town of Ryland Falls comes straight out of a Norman Rockwell painting - it is a place just about everyone would like to escape to. Things have always been done a certain way, and people play their roles in that tradition willingly. Except for one year when it all goes wrong. Under the surface of that perfect world, the pain of living is taking hold and winning the battle. As Theroux writes of the tipping point: "A crack in the heart of an eight-year-old boy is not a very noticeable thing on earth. For one thing, there are so many eight-year-olds. For another, most of them have a rather small vocabulary. They don't have the words to call attention to their condition. But in that other place where all cracked, broken, lost, and hardened hearts are recorded, it was noticed right away. And when Neddie Crimmins's heart was placed gently upon the scale with all the other damaged hearts in Ryland Falls, it was considered one heart too many. When snow starts falling and falling and falling some more until the whole town is snowed in, miracles start to happen and the good in human nature begins to shine through. This is a novella - easy to read in one sitting. 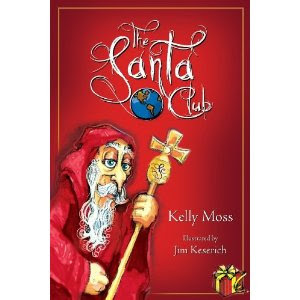 It is a perfect family story - both children and adults will enjoy and benefit from it. It would be a splendid addition to your Christmas season.